This is not the way to show off your big RPG. Picture the scene: It’s Monday morning in Los Angeles, and it’s a big moment for Square Enix’s Final Fantasy XV. It’s about to appear on stage at Microsoft’s press conference, an ideal fertile ground to attract a broader audience – the types that have tuned in for Gears of War or Halo – with an impressive stage demo. 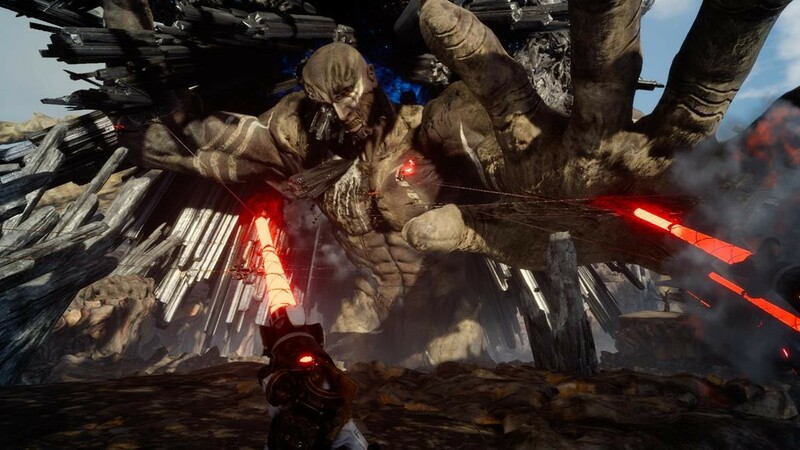 The demo Square picked certainly has the necessary breadth – it sees protagonist Noctis and his band of incredibly well-dressed cohorts take on Titan, an iconic Final Fantasy Eidolon beast, in an epic God of War style battle. Except… it just doesn’t work. It doesn’t click. It’s not clear if the representative playing is having difficulties or if the battle just isn’t satisfying to play, though other things are clearer. Like the fact that the game’s camera is really struggling to keep up with the massive creature that’s the centerpiece of the whole showing. Needless to say this demo left me concerned. As such I was incredibly glad to be able to get my hands on the same demo (more or less – it seems the E3 show floor demo is a marginally newer build than that at the conference) for myself and see just what on earth was going on. The good news is this: it plays better. I’m not entirely sure what was going on at the conference, but I was able to get to grips with the battle much more easily. The bad news is that it’s not that much better; I still had to do battle with a camera that’s janky even when it’s at its best. It’s not necessarily true that this demo indicates a problem with Final Fantasy XV at large. I’ve played a few other slices of the game, and one thing that’s absolutely clear is that the game is a very different beast when you’re battling against more normal, human-sized enemies. Just today several previews have dropped from outlets who got to play the game’s opening hours prior to E3, and those write-ups are generally positive. But then… there’s this E3 demo. 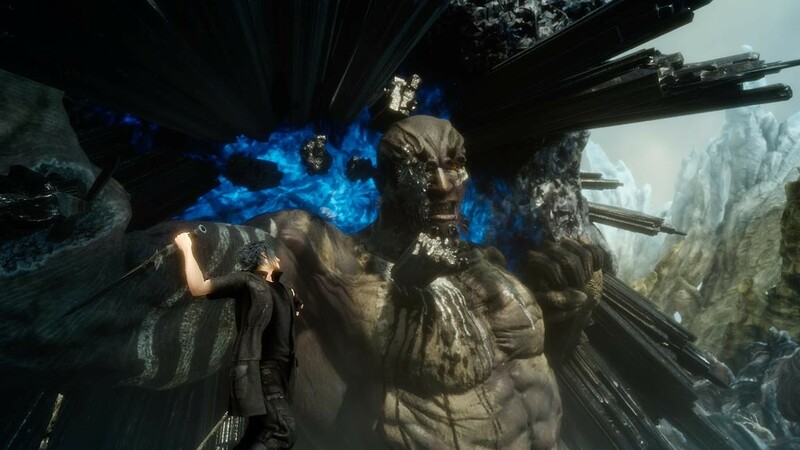 In search of spectacle Square has pitched a large battle against a massive beast that wouldn’t be out of place in God of War or a Platinum game, and through this it quickly becomes clear that FF15 doesn’t have the tightness of control in its combat that those aforementioned titles do. Nor does it need to. Plenty of great RPGs feature lighter-touch controls because the focus is on other aspects of the RPG world – levelling up, gear, exploration and so on. When showing a battle such as this, however, these elements can’t shine. That’s the main problem: everything feels a bit clumsy against this gigantic enemy, and when the battle concludes with a pretty-looking but empty-feeling quick time event, the overwhelming feeling I was left with was that FF15 has been misrepresented in this vertical slice. Based on my past experiences I do believe the game has great potential, but this isn’t an encounter that allows for any of the potential nuance of the game’s combat system to shine, and the small arena-style boss setup doesn’t showcase the title’s open world in any significant way either. A 40-plus hour RPG is always hard to demonstrate in the confined world of limited-time preview cycles and especially at trade shows. Vertical slices are rarely all-encompassing, but what’s absolutely clear with this demo is that this was not the slice to show off what might end up making FF15 special – not on the E3 show floor, and certainly not on stage at a press conference. I’m still excited for Final Fantasy XV. Square Enix has much riding on the success of this title. But that fact makes this choice of demo all the more baffling. My main take-away from playing the conference demo myself is that this was a demo that was never going to look particularly good. It’s a combat scenario that fails to play to the strengths FF15 has already demonstrated in the Episode Duscae and Platinum demos. I hope the final game is made up of more encounters like that and less like this. 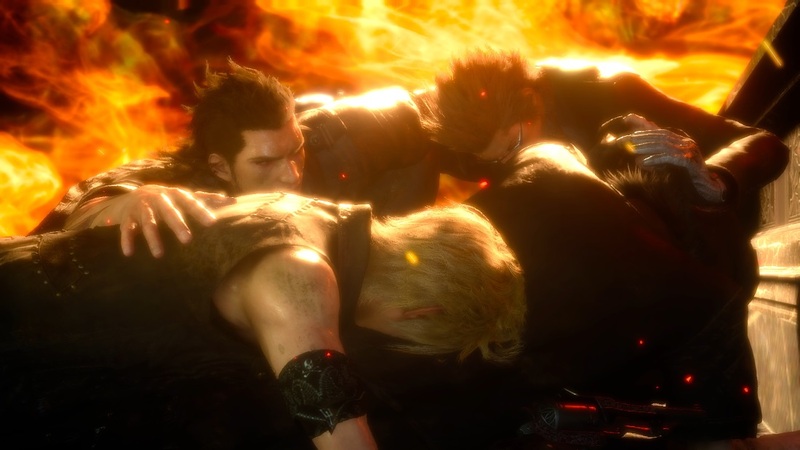 FF15’s other E3 appearance was at Sony’s conference in the form of a fairly standard-issue trailer and the announcement of a ‘VR Experience’ around the title. This small tech demo doesn’t yet represent any part of the main game, and Square Enix reps I spoke to seemed unsure on if the VR experience would be added on to the game at some point or end up being featured as some sort of stand-alone download. Much as with the Fallout 4 VR tech demo I experienced earlier in the week, this VR experiment feels like little more than repurposing work that already exists to allow developers to get to grips with the hardware. It even controls similarly. One button on the PlayStation Move is mapped to allow you to warp around the level by pointing and clicking and another button fires your gun, since in this demo you trade in Noctis’ swords for the firearms of Prompto, one of the main game’s major characters. Much of the VR experience is familiar to the Episode Duscae demo but from a different perspective, and it’s actually pretty fun as far as being a light gun game goes. But that’s also the weird thing; that’s what this is – a light gun game. 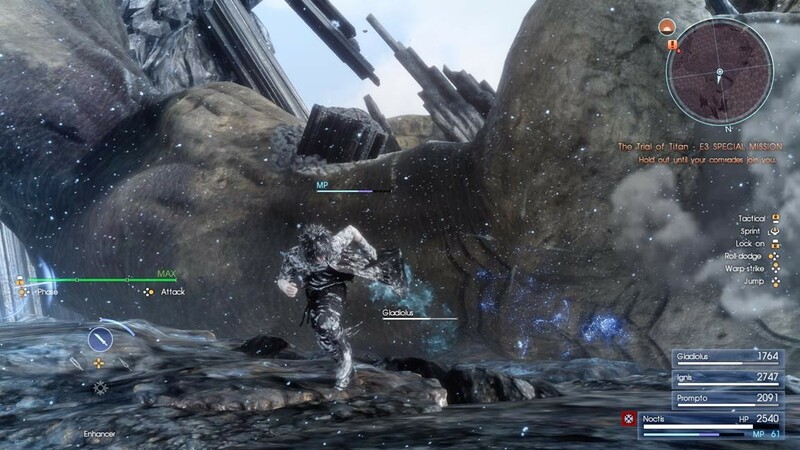 It’s not exactly what one might expect from a Final Fantasy title, VR or no, but you blast at a behemoth while the melee-focused members of FF15’s cast get in close and bash it. Much as with Fallout, this is a VR demo that doesn’t show much in the way of substance but shows promise: a developer and a series one might not expect to support the medium as willing to give it a go. Hopefully Square Enix will eventually take that commitment a little further.